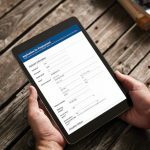 If you’re building online forms for a diverse audience, you may find yourself needing to make those forms available in more than one language. Because only one version of the form will be filled out, only one of those variables will have a value. The other will be completely blank and will not affect the final path. As a result, whether they complete the English or Spanish version of the form, it will be filed in the correct location. If you need to pass field values to Laserfiche Workflow, there’s one last wrinkle to iron out. Because you’ve got two different versions of the form, you’ll need to have two different versions of the workflow: one that processes the Spanish fields, and another that processes the English fields. 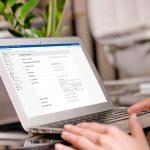 It may be easiest to create two separate workflows, and use an Exclusive Gateway in the Forms Process Modeler to launch one or the other workflow based on the language selection. Alternatively, you can create a single workflow with a Conditional Decision activity that routes down one branch or the other based on the language selection. In the second scenario, you’d obviously need to use a Retrieve Laserfiche Forms Content activity above the Conditional Decision to pull back their language choice. 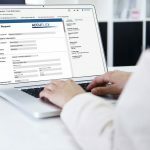 While there are other methods of creating dual-language forms, this is probably the most convenient method for both administrators and users. If you’ve found a better way, or have any cool ideas for improving on this method, be sure to tell us about it in the comments!